If there’s one meal that’s guaranteed to be a hit around here, it’s pulled pork of any variety. 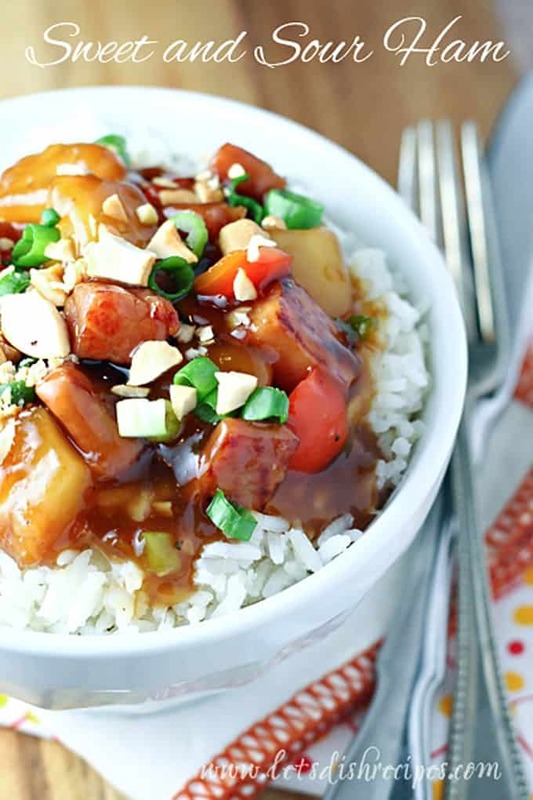 And this Slow Cooker Hawaiian Pork is a new favorite! 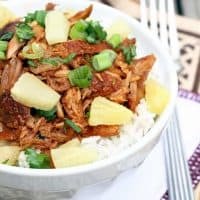 This pork is full of so many great flavors, like sweet pineapple and spicy sriracha, and it cooks all day in the slow cooker so the meat is tender and juicy. We usually serve this pork over hot cooked rice topped with pineapple tidbits and green onions, but it’s also fabulous in tacos and burritos. Or served on buns, sandwich style, topped with your favorite coleslaw. And yes, that little extra step of browning your meat before you add it to the slow cooker really does add tons of great flavor. It’s totally worth the few extra minutes. No matter how you choose to serve it, this Hawaiian Pulled Pork is a crowd pleasing meal. It will definitely be making a repeat appearance on my menu! 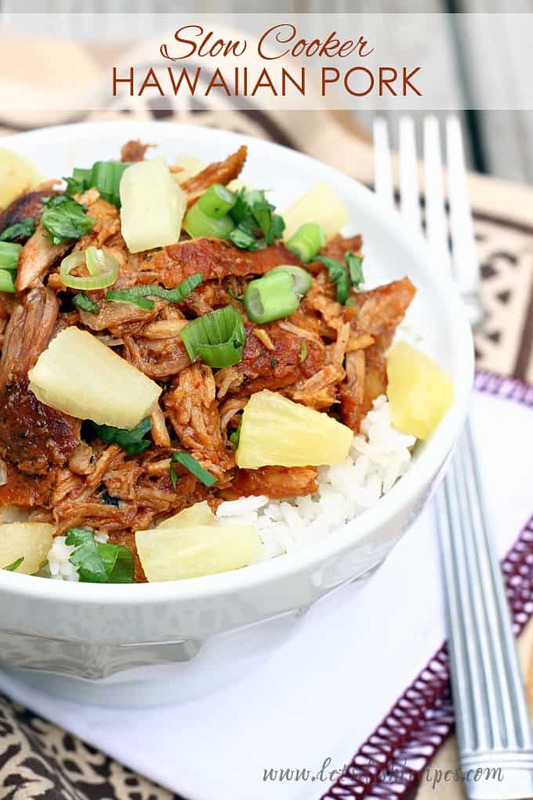 Be sure to save this Slow Cooker Hawaiian Pork recipe to your favorite Pinterest board for later. Slow cooked pulled pork in a sweet and tangy pineapple, brown sugar and soy sauce glaze. In a large skillet, heat oil over medium-high heat. Cut pork roast into half or thirds and sear on all sides until brown. Place pork roast into the bowl of a slow cooker. In a medium bowl, whisk together remaining ingredients until well blended. Reserve 2 cups of the sauce. Pour the remaining sauce over the pork and cook for 6-8 hours on low, or until the roast shreds easily with a fork. 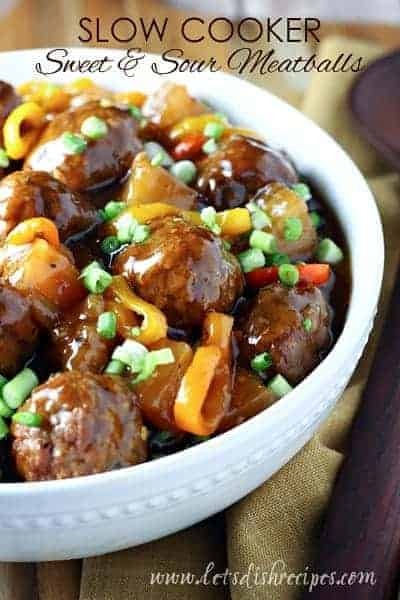 About 30 minutes before pork is ready, pour the reserved sauce into a medium sauce pan and simmer over medium heat until sauce thickens and reduces by about half. Remove the pork from the slow cooker and shred with two forks. Toss with reserved sauce and serve on rice, or as a filling for tacos or burritos. I am not good at cooking and this was easy and delicious! A go to recipe now thanks !!! Love this recipe! I made a few changes – substituted apple cider vinegar for the rice vinegar, used coconut sugar instead of brown sugar, and a bit less of the sugar because I used bacon-honey French dressing instead of catsup. Served on rice and topped with skillet-toasted coconut flakes. Now a family favorite, thanks! Did those changes lower the carb count? I feel like it would so I’m going to make these changes!! Thanks for the idea!